Whether you’re here to work or play, the Country Inn & Suites hotel in Murrells Inlet provides amenities designed to help you relax, from our soothing indoor pool to our fitness center and free Wi-Fi. Need to prepare for a meeting at the Myrtle Beach Convention Center? Stop by our 24-hour business center to polish your presentation. 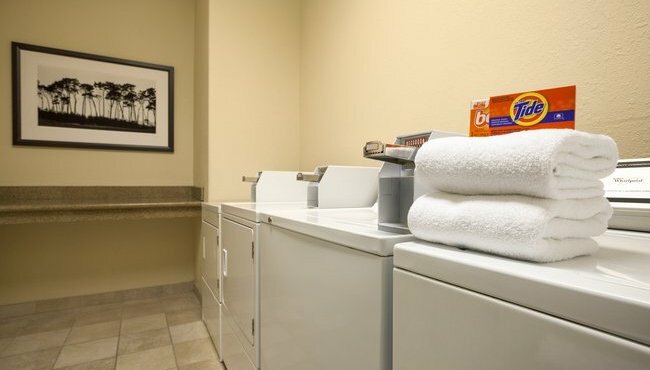 Our coin-operated laundry facilities enable you to keep your beach towels and clothes clean and fresh throughout your stay. Indoor Pool, Open 6:00 a.m. - 11:00 p.m.